The firm organizes and incorporates new nonprofit and social purpose ventures of all types, including charities, religious organizations, private schools, charter schools, associations, foundations, social enterprises and others. We help our clients obtain federal tax exempt status under Internal Revenue Code Section 501(c)(3) and other sections. The firm also helps clients obtain state and local tax exemptions related to sales and property taxes. 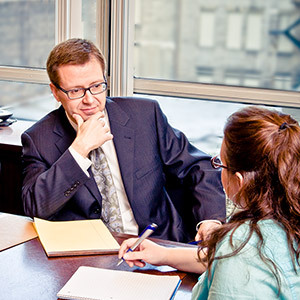 We advise clients on matters of corporate governance, liability of directors, and fiduciary duties, unrelated business income tax, excess benefit transactions, and private inurement. We guide our clients in structuring transactions to avoid negative tax implications, while fulfilling the organization’s objectives. We provide counsel regarding compliance with a myriad of applicable state regulations. Organizations that operate in multiple states may be subject to regulation by those states, and we guide our clients with multistate operations through this regulatory framework. We assist organizations in negotiating and drafting a wide variety of contracts and agreements including real estate purchases and sales. When organizations are at the end of their life cycle, we help them navigate the often-challenging dissolution process. The firm has worked extensively with foreign counsel in establishing branch organizations in foreign countries. For organizations considering expansion to a foreign country, we collaborate with foreign counsel to determine the best strategy to accomplish the organization’s goals. We assist with compliance with United States Treasury regulations concerning funding for foreign activities.